It's time to announce the winners for the Polaris Bundle contest. First I would like to say thank you to everyone who entered. All the entries were awesome! There was some really great and creative ideas! However, I could only pick four winners So here they are! Congrats to the winners! You can read all the winning entries below, copy and pasted exactly as I received them. And thanks again to everyone who entered! Be sure to watch for more contests and giveaways soon! Emperor Napoleguin’s Royal Castle is a house in a Polaris setting. The exterior consists of several frozen mountains, their peaks stretching as high as the top of the Castle. There are also many trees outside, all of them covered with ice and snow. Even the ground has snow on top of it, making it have a feel of wintertime and a cold environment. The inside is what truly makes the house fit to be associated with Mr. Napoleguin. There will be pillars on either side of the front door, stretching up to the ceiling of the room. There is mostly an empty space here, fit for decorating as desired. To the left, there will be an opening leading to another room, which will be a room entirely dedicated to Napoleguin, with a statue of him towards the back of it and medals and emblems given to him on the walls. To the right of the main room is an area to “warm up” from the cold, which has a nice, warm feel to it that is perfect for relaxing or entertaining. Both the left and right rooms will lead to a room farther back into the Castle, which puts the “royal” in Emperor Napoleguin’s Royal Castle. There is a large throne towards the back and a red carpet leading down to it. Statues of Penguins who served in the Polarian Revolution and the Polarian War are to the sides of the red carpet, as well as statues of what used to be Napoleguin’s servants. There will be stairs leading up from the back room to a second floor. Here is a Polarian themed Tavern area, with a long table and several stools near it. It is still frozen and snowy like the rest of the house, and even the table looks as if it is made completely out of ice. One final room is connected to the Tavern area, which is Napoleguin’s planning room. There are maps of the entire Spiral on the wall (and some worlds we’ve never been to, as well!) and a map on a desk, which can be seen as a map of Valencia. It has a large X over an area known as Cadiz, showing that the Castle is not just Napoleguin’s home, but it is your Pirate’s now, too, so your missions and goals will be thought out here, too. Much of the house has very open, leaving room for it to be decorated with your own personal touch. With Napoleguin trying to regain his throne back in Polaris, his Royal Castle might be empty for a little while. 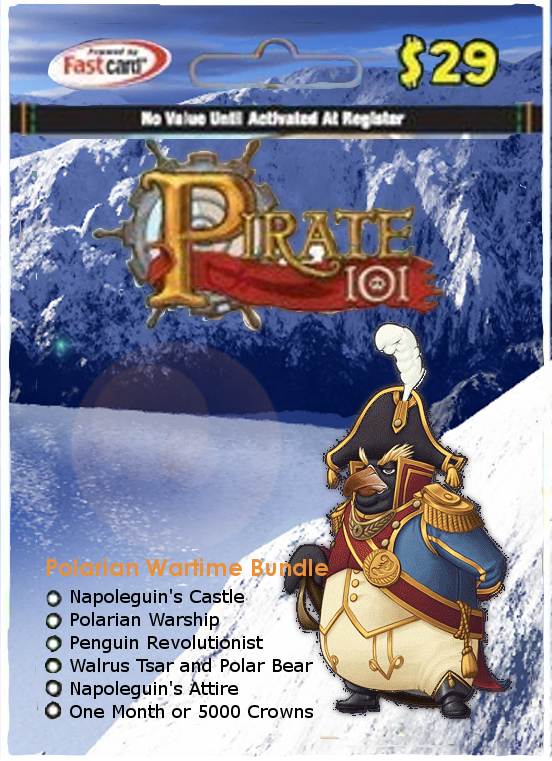 Long enough for your Pirate to occupy it for their own home with the purchase of this bundle! The Penguin Revolutionist is a veteran from the Penguin Revolution, fighting under the legion of Emperor Napoleguin himself. He was deemed one of Napoleguin’s most tactical soldiers and saved Napoleguin from capture several times from the Walrus Tsars. After the Revolution was won, he was called upon once again many years later to fight in the Polarian War. The Penguin Revolutionist was issued to be a Captain of his own legion, but led his crew to disaster at the hands of the Royal Navy. After a well-devised distraction, he was able to escape from the clutches of Marleybone and fled on Marleybonean ship. As it turned out, it was bound for a Marleybonean colony in Skull Island: Port Regal. It was there that this brilliant soldier heard that a familiar friend was locked up in Fort Elena, the top prison in Port Regal: Emperor Napoleguin. He bought his own ship and found the Pirate after he began to start a new life and joined their crew, promising to not only help stop the Armada and find El Dorado, but to avenge Napoleguin and return him to his previous state as the supreme ruler of Polaris. Note that this is a ranged companion with a range of 5, similar to the range of Bonnie Anne, Jane Canary, Buffalo Bill, Loius le Bisque, etc. Name: Randomized – The name for this companion consists of two parts, a military title and a first name. The first names are similar to those that the pirate can choose when they are creating their character, but are more limited to those that fit the theme of this companion. The military titles include Corporal, Sergeant, Commander, Captain, Lieutenant, and General. 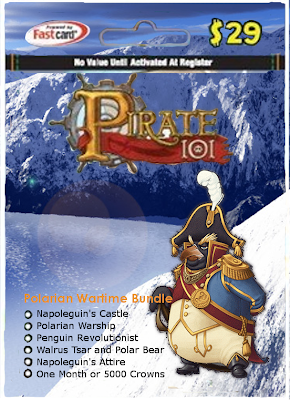 The Penguin Revolutionist cannot be obtained through means other than purchasing this bundle. There’s something about Polaris that not many people know… it’s actually based upon Imperial Russia, too! Of course, the Penguin Revolution changed that, and now it’s more based upon France, but, when we do venture off to Polaris, we might just see some ties to the Soviet Union! So, this Ancient Walrus Tsar is just that. He managed to escape Polaris when the days of the Polarian War began, and has sought a master ever since. He’s not too trained in the arts of combat, so he is content with taking his Captain wherever s/he needs to be, and, secretly, hopes to return to Polaris one day to see the state it has “fallen” to. Perhaps he may even believe that his cowardliness has brought Polaris’ fate upon the civilization, but, if he manages to reach El Dorado with the Pirate and their crew, he may just be satisfied with the knowledge that the entire Spiral will be safe once more. This pet is a Polar Bear who claws at its enemies with its paws to attack. Its critical animation is jumping up in the air and pouncing on the enemy, then jumping back off. It’s more of a… vicious… type of creature from Polaris, to say the least. The Polarian Warship is said to be straight from the Polarian War, used by a trusted soldier of Emperor Napoleguin (no, not the Penguin Revolutionist companion – he has many, many other trusted soldiers!). However, the captain abandoned their ship for unknown reasons, leaving it behind in a Skull Island port. A note on it read “Skyway Captains of the Spiral – take this ship as ye see fit to do so! Use it better than I, an’ only use it for the good of the Spiral!” Sounded promising enough, so, as the Pirate came across this Polarian Warship, it is now under their control! The Polarian Warship is a Frigate, but it is a strong Frigate, at that. As other bundle ships do, this ship comes in tiers – a Level 10+ tier, a Level 20+ tier, a Level 30+ tier, and so on, in intervals in ten, up to a Level 60+ tier. Obviously, the higher tier you redeem, the stronger the ship will be. But, if you redeem a lower tier, you can use it sooner, so choose wisely! As Polarian ship gear is not yet available for those who do not purchase this bundle, the Polarian Warship will come with a full set of ship gear that can be equipped to it. It is significantly stronger than other ships around its level, but it is, of course, still in line with them and would not be considered overpowered. Napoleguin’s Headgear of the Strong (Hat), Napoleguin’s Coat of War (Outfit), Napoleguin’s Shoes of Invulnerability (Boots). Don’t forget the weapon! The Polarian Wartime Bundle comes with Napoleguin’s Pistol of Lost Time, a one-handed pistol that packs quite a punch in combat! Comes With One Card: Penguin Rush! Penguin Rush! is basically the opposite of Bonnie Anne’s Scatterblast power, as this power reduces the Accuracy of enemies while her Scatterblast power reduces the dodge of enemies. While only the Level 60+ tiers of the gear are listed here, it is worth mentioning that the cards to not change as the tiers increase or decrease. So, Musketeer’s Mastery, Musketeer’s Mettle, Guaranteed Critical Strike (Ranged), and Penguin Rush! will all be on any tier of the gear that you redeem. Also, the Penguin Rush! card has a more comical animation. The player holds up one hand in the air, signaling a group of Penguin Soldiers to march in across the area affected by the blast. They will basically walk right over any enemy in that range, damaging them and reducing their Accuracy by 25% for 5 turns. By the way… it might not be best to tell Napoleguin that you took one of his sets of attire and his prized weapon. Just making a guess here, but it probably won’t sit too well with him. I think of Polaris as a cross between the South Pole but with Russian/Poland tendencies. 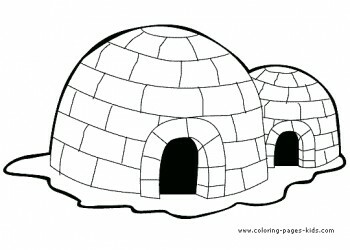 An Igloo House-This house would look like a traditional igloo but with LOTS of room AND many rooms on the inside. The dome portions could be turned so that there were plenty to connect and doorways (not needed on ALL the domes) to get outside to different areas. There would be ice everywhere inside and out to celebrate and honor Polaris's wintery landscape. There would be a frozen ice pond where our Charity Fa-la-la-llamas could skate to their bleating hearts content. Even though the house for our pirates is an igloo it would be nestled into a snow covered pine forest. You would be able to see the Polarian Metropolis off toward the horizon where there are building and shops with the colorfully twisted turrets (like pictured). It would look just like one of those Christmas snow globes. There will also be a PvP area on another pond. Pics attached to this are: Double igloo, Snow Village, & the Russian Federal building. A Polar Bear Companion-The companion will be a Musketeer. He will look like the one that we had showing up on our launcher a couple months back. 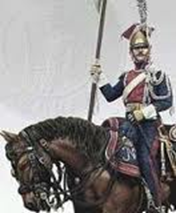 His weapon will be a musket/bayonet hybrid and his Critical attack will involve shooting from the musket then finishing by stabbing them with the end of the bayonet. His Epic ability that he comes with will be Overwatch. He can choose to be trained in the following Epics: Overwatch x2 & x3, Crossfire x1 & x2, Quick Adjust x1 & x2, Burstfire x1 & x2, & True Grit x1, x2, & x3. He will also get one power card called "Kwas Kegs" (kwas being the national drink of Poland) to place 5 Powder Kegs in an X formation. The Talents he can train in are: Accurate, Dodgy, Lucky, Rough, Agility, Tough, & Will. He would do a little dance like the one here from :35-:39 when he gets healed or defeats his opponent. Sled Dog Mount-This will be a two passenger mount. It will be a sled pulled by either 2 or 4 (depending on aesthetics) Siberian Husky dogs. Charleville Musket-This is almost the same kind of musket that Napolean used. This weapon will come with an Overwatch card to give your pirate that ability when equipped. It is boosted by Agility and it's damage will vary depending on the tier. Around 255 for a level 65 pirate. One Year Subscription OR 60,000 Crowns-You can choose a one year sub to be applied to either P101 or W101 OR you can choose 60,000 Crowns to use toward either game account. House: A large glacier-like island, covered in snow. The surrounding sky is dark blue. 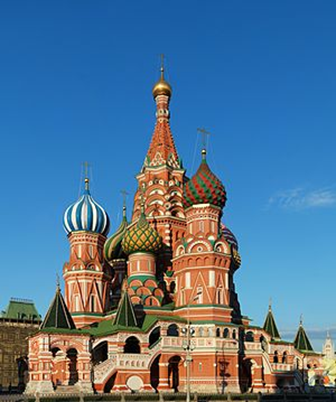 The main house looks similar to St. Basil’s Cathedral. (Picture below.) In front of the structure, there is a large courtyard/PvP Arena, up to 2v2. Many pathways encircle the island, and two lead into ice caves. One cave is a large room, big enough to make into whatever you want. (Treasury, Armory, etc.) The other is a secret entrance into the house. Inside the house, there are 3 floors, not counting the turrets. The top floor leads into the two turrets that can be entered, the main one on top of the house and the rightmost one. There are three main rooms in the top floor. The ground floor has five rooms, including the main hall. You can also enter the leftmost turret from this floor. The basement has two rooms. The back room is missing the left wall, as that is where the ice entrance connects to the house. This room also has a stack of pickled herring in the corner (cannot be moved or picked up.) Also, there are 5 turrets placed around the island that can be entered, and two that can’t be entered that serve as the gate between the island and the docks. Ship: Similar to the kind seen in the Napoleguin puppet show, a French style ship covered in icicles and frost. Galleon-sized. Can be redeemed at the same tiers as the other bundle’s ships. Figurehead: Emperor Napoleguin figurehead. Origin: Polaris Size: Galleon. Looks like Napoleguin. Can be redeemed at the same levels as the other bundle’s figureheads. Gives the following cards at each level it’s redeemed: Frost Arrows, Frozen Grape Shot, Snow Queen, Icy Shot, Frozen Bar Shot, Ymir’s Hammer, Frost Gorgon. Outfit: Polaris Guard Uniform. Pictures below. Boots give Will, Resistance, and Dodge. Outfit gives Strength, Health, Accuracy, and Damage. Hat gives Agility, Armor, and Accuracy. Each will give powers depending on the tier. Tier 3+ gives Discipline (Boots) and Claw Trap (Outfit). Tier 6+ gives Discipline (Boots), Bear Trap (Outfit), and Call to Arms (Hat). Redeems at same levels as other outfits in other bundles. Weapon: Imperial Guard Kit: A slashy/shooty weapon combo. Relies on strength/agility (It gets the bonus from whichever you have more of, i.e. if you have more strength than agility, the weapon gets a bonus from strength and vice versa.) The sword looks like the Royal Navy Sabre from the Admiral Bundle, but shorter with a gold hilt and blue blade. The gun looks like a gold/blue flintlock pistol. Gives the epic Flanking. Redeems at the same levels as the other bundle weapons. Companions: One of five different companions. You get the companion that is the same class as the pirate you redeemed it on, and unlock the rest for purchase in the Crown shop. They all promote at level 25 for 2500 gold and level 55 for 5500 gold. They all gain two epics after the first promotion, and one epic after the second promotion. They all have randomized names. Polar Bear Recruit. Buccaneer. Wears a small cap and old armor. Carries an axe. Comes with Critical Strike and Flanking. Upon promotion 1 (Polar Bear Guard), gains a larger fur hat and better armor. Gains Critical Strike 2 and Valor’s Shield. Upon promotion 2 (Polar Bear Warden), gains gold inlay for armor, hat, and axe, as well as several medals on his armor. (Picture below.) Gains Critical Strike 3 and Valor’s Fortress. Epics: Flanking, Hold the Line, Repel Boarders, Relentless, Vengeance Strike. Penguin Picket. Musketeer. Looks like Napoleguin’s personal guard (Seen in Fort Elena), but plainer. Comes with Critical Strike and Overwatch. Upon promotion 1 (Penguin Watcher), looks exactly like the guardsmen. Gains Critical Strike 2 and Incendiary Shot. Upon promotion 2 (Penguin Sentinel), the uniform becones gold-lined and fancy, he gets gold casings around the musket, and he gains lots of medals. Gains Critical Strike 3 and Inferno Shot. Epics: Overwatch, True Grit, Parting Shot, Quick Adjust, Double Tap. Fox Hermit. Witchdoctor. Female arctic fox. Wears a ragged robe and has a wooden staff. Comes with Improved Mojo Blast and Ghostwail. Upon promotion 1 (Fox Vagabond), robes become smoother and nicer, staff gains crystal at top. Gains Soulreaver and Vulture’s Gift. Upon promotion 2 (Fox Pariah), robes become ornate and fancy, staff becomes straight and crystal becomes smooth. Gains Mournsong and Crow’s Song. Epics: Improved Mojo Blast, Jobu’s Ruse, Mojo Rising, Readied Spell, Coward’s Bane. Polar Bear Exile. Swashbuckler. Female Polar Bear. Wears ragged, thrown-together armor, carries two rusty swords. Comes with Critical Strike and First Strike. Upon promotion 1 (Polar Bear Rebel), armor becomes more wholesome and clothes are less ragged. The swords are better looking, with only a few rust spots. Gains Critical Strike 2 and Assassin’s Mist. 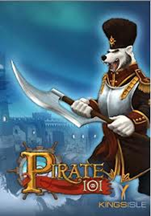 Upon promotion 2 (Polar Bear Revolutionary), armor is a general’s armor, and clothes are not ragged at all. Swords are now gleaming and fancy. Gains Critical Strike 3 and Assassin’s Gloom. Epics: First Strike, Flanking, Riposte, Cheap Shot, Second Chance. Walrus Lieutenant. Privateer (ranged). Male Walrus. Wears plain army clothes. Comes with Rouse and Parting Shot. Upon promotion 1 (Walrus Captain), his clothes become fancier and he gains a few medals. Gains Rally and Gunnery. Upon promotion 2 (Walrus Major), clothes become even fancier and he gains more medals, and he has a (unusable) sword at his belt. Gains Revive and Artillery. Epics: Parting Shot, Quick Draw, Overwatch, Burst fire, Crossfire. Mount: Snow Leopard. Similar in animation to the jaguar mount from the Tribal Crew Pack, but is a snow leopard. Very fast. No trade, no auction. 1 month subscription or 5000 crowns. Just wanted to say thanks again for this contest, Autumn!